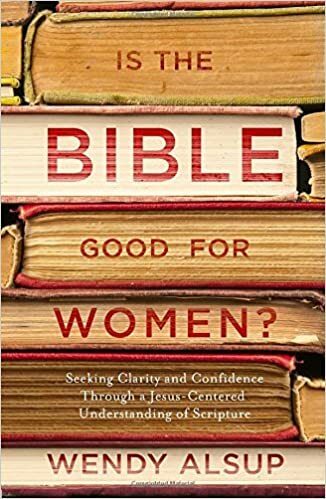 “As a woman, and thanks to my rigorous Christian college biblical education, I have always felt that doctrine and theological truth were as important to women as to men because what we believe is the foundation for what we practice. Sound doctrine and theology excites our awe and reverence for our triune God Who out of amazing love touched our lives and called us to be His. What a joy and privilege! I agree with the women forming this guild that too often Christian women have been given fluff rather than the rich substance upon which our Christian faith is based. So many of the devotionals we’ve been fed are based on emotion or experience rather than truth or fact. Both emotion and experience enrich our lives, but they better serve us by playing a supportive role rather than the priority role in life. Women in the Bible were as equipped to handle deep and rich truths as were men. Today, there are women who are apologists for the faith, and the Church is in need of apologists. Thank you for your encouragement, Helen! From CT article — Warren: “Some of us who are more conservative, theologically and politically, and some not so much. Some vote Republican and some have never voted Republican.” Why can’t you say “democrat”? there are millions of christian women who are democrats. why alienate them? I identify as a pro-life Democrat personally. But for those of us who want to vote Democrat (or have in the past), the last decade of the DNC actively forcing out pro-life Democrats has created a conundrum. Nevertheless, I don’t know why that wording would cause a democrat voting women to feel alienated if she otherwise agrees with the Mission and Commitments of The Pelican Project. Doctrine is big feature. Recent agenda-driven complementarianism touts itself as doctrine. The word doctrine has become a rather meaningless word. i can’t help but be dubious w/your self-promotion w/”doctrine”. I’ve been tricked by christian powerbrokers to believe this and other new ideas are doctrine. adhere to them or your name will be nixed from the Lamb’s Book of Life. To what degree will you toe the various party lines & proffer new invented ideas as “ancient orthodoxy” when they are not? Scottie, I don’t know how to address this exactly except to encourage you to read our Mission and Commitments as well as the links and books we recommend. Perhaps it will serve and encourage you. Perhaps it will not. But the best place to get an idea is our website. The christian industrial complex is the christian maffia. To whom are you (The Pelican Project) beholden? Who controls what you say and don’t say? To what degree are you bound by contracts with publishing houses and other institutions? How much money is involved in what you do? It is hard for me to trust any christian writer / speaker because of the degree to which money is involved. I observe them championing moral and spiritual causes, then they clam up when it is inconvenient. When what is true, the hard truth of a matter, happens to threaten their sources of revenue. They become hypocrites in action. The credibility of The Pelican Project will stand on the degree to which you all can demonstrate that there are no financial interests in what you are doing. The publishing industry certainly has its faults. But the authors, agents, and publishing house I work with are people of character with a genuine love of God and desire to serve Christ’s Body. I can’t say that for all agents, all authors, and all Christian publishers. And I certainly recognize the Christian industrial complex that has actively contributed to evangelical problems. I hope The Pelican Project can serve through a different paradigm altogether. Thank you for taking the time to respond honestly, Wendy. I appreciate it. I recognize the good ideas and motives behind The Pelican Project. Just saw the website, I will consider joining the Facebook group soon. Thanks and God Bless. I just wanted to say that I am so excited that you, and others of like mind, heart, and faith, have launched this project! Like you spoke to above, I do not think we need more “truth” divorced from love, nor “love” detached from truth (as if these things could really and truly exist apart from one another), but we need more “truth in love” in the church today. I will be praying for the impact of this ministry on the hearts and lives of women throughout the church! Hi Wendy, I think your website would be much more easy friendly if the different themes were at the beginning of the page. I love your articles but got a little confused trying to find something I wanted to read about from my phone. I also wanted to share but wasn’t able to share a specific article. Just a constructive opinion! I hope it helps! Blessings!! !